Some say 'outpatient' model at mental health facility isn't safe, endangering both staff and patients. 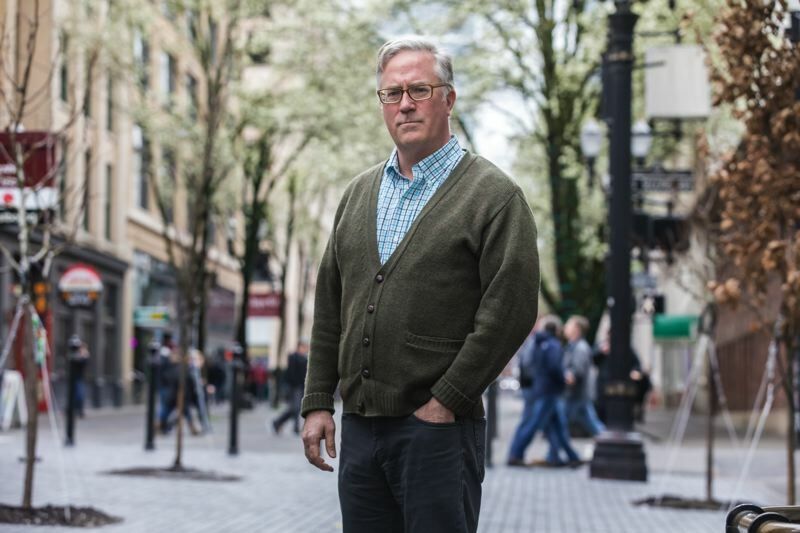 For years, local doctors and advocates for the mentally ill used to say Portland needed what's known as the Alameda model: a specialized emergency ward for people in need of psychiatric care, including those who are homeless. Now, barely a year after that sort of facility, called the Unity Center for Behavioral Health, finally was set up, people are asking what we have — and whether it's working. And those questions appear likely to get louder as the year goes on. Last month, a report by the state Occupational Safety and Health division of the Department of Consumer and Business Services documented safety problems at Unity. Its investigation found about 300 assaults and at least 23 injuries to employees in the first seven months of the center's operation. Investigators found a culture in which management didn't seem to know how often employees were being assaulted, and some staffers were afraid to say anything — fearing it would hurt their careers. The state fined Unity $1,650, a fairly typical slap on the wrist for a first-time offense. But the findings were a far cry from what Unity Center supporters were hoping for, including Legacy Health, the hospital chain that led the charge to create the facility and which oversees it. In one presentation shared by Legacy before the new facility opened, its list of key principles is topped with one word: "Safety." Multnomah County Commissioner Sharon Meieran, a former emergency room doctor and longtime booster of the Unity Center idea, was among the local officials who traveled to San Leandro, California, to see the psychiatric ward in Alameda County in action. Part of what sold local officials on Alameda, she said, was that thanks to training and techniques, there "was a massive decrease in assaults, injuries to staff and injuries to patients." The recent state OSHA report suggests that Portland is not having the same success, which Meieran termed "clearly concerning." Unity Center opened in late January 2017 as a 24-hour hospital providing mental health emergency services for adults and adolescents, with about 450 employees. At its core — and, some say, at the crux of the surprising assault rate — is a sort of living-room model where patients who've been admitted sit in dozens of recliners in one large room. There staff medicate them, calm them down, and try to connect them with services. This model allows hospitals to call the center "outpatient services," saving money and avoiding more intensive regulation. Insurance companies like the idea. Neal Rotman, a senior Multnomah County mental health manager, said he wasn't completely surprised by the significant number of assaults on staff. But he noted the county has no oversight role over the facility, which was funded with $50 million from hospital chains, receiving only $3 million from the county. "It's a larger number than I would have thought were occurring in that location," Rotman said, adding that he didn't have enough information to judge it. However, he noted the Unity Center model holds patients for a longer time, while trying to connect them to services with a "warm hand-off." Therefore, it's "much different" from the Alameda model, where they simply medicate patients and give them a ticket to the mass transit system, he said. Whatever you call the Unity Center model, is it working? Lost in the initial publicity around the OSHA report was that the anonymous employee complaint that spawned it blamed the treatment model used at Unity for the assaults. And according to the subsequent report, employees at Unity Center are divided over whether the treatment model there actually works. "It was established early on that employees were either for or against the treatment model," according to the state report. "Many employees explained that their patients' type of care was directly related to the patient acting out and assaulting employees." Jason Renaud of the Mental Health Association of Portland said that if patients are assaulting staff, they may well be assaulting one another. Regardless, for him it raises questions of whether the environment is as calming and helpful for the mentally ill as it was supposed to be. "A lot of people in mental health crisis don't need medical care," he said. "They just need sanctuary. They just need some place where they can be for awhile." 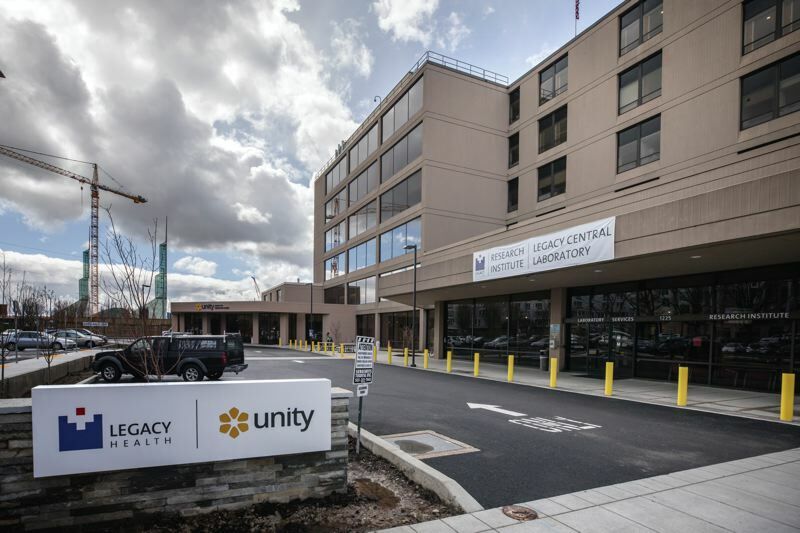 Legacy Health and Unity Center, which are being sued by two former nurses who say they were retaliated against for raising safety concerns, has been largely mum on the report and what's going on. Renaud said he's wondering what Legacy has to say about the apparent safety issues there. Steve March, the county's elected auditor, says he's heard from employees about problems at the Unity Center, and he has placed it on a list of upcoming audit topics for his office to investigate. Not only that, but Meieran, who has been spearheading the county board's review of the local mental health system, said she plans to learn more about Unity's performance. "I still completely believe in this model," she added, "But we need to get to the bottom of what's going on."